Congratulations! You found the best solution to taking a craft class in the Philly! These classes are available in Private Lesson form! Learn a great deal more in a shorter amount of time with your own private teacher. No waiting to ask a question or sitting through information you already know! Don't have time for a whole course to fit into your schedule? Don't worry! All classes are scheduled by the student to fit their schedule! Tool rental and materials included. Silver available on hand for purchase. This is a two week class. Each class is 2 hrs. Students can customize the time and day of their choosing. An Introduction to Silver Soldering: Make a Ring! SUBMIT THE FORM ABOVE IF INTERESTED OR CALL 215-316-1309! Learn the art of silver soldering with this introductory metals class. No previous metals experience needed. The maximum number of students that will be in this class is 3 so each student will benefit from the most individual hands on instruction. Students will go home with a silver ring just for themselves or a special loved one! Learn basic metal working techniques such as: forming, hammering, annealing, melting, and more. Tool rentals and materials included in price. Additional materials available on hand for purchase if desired. Click here to see what's possible beginning with the skills learned in this class. 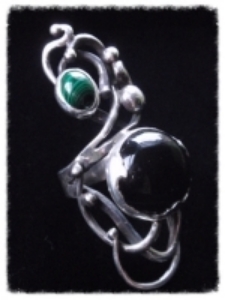 A great follow up to this class will be the "Silver Soldering and Stone Setting Workshop". Sign up two or more and get $20 off each student! In this 3 week workshop, students will learn the art of stone setting, as well as more complex ways of soldering silver while hand fabricating their own silver ring. Participants will choose from a variety of stones to work with, or choose to bring one of their own. Students will have the option to create their own design. This class is open to all levels and one on one instruction will be given to insure the individual receives the most benefit from the class. Materials not included in price. Metals and stones will be available for purchase. Students can expect to pay $15-$30 extra for their stone and materials, depending on their individual design. Sign up two or more and get $35 off each student! Leather Working Class: Make A Belt! Learn how to hand fabricate your own personal leather belt straight from the hide! Students will go through the whole process of making a belt, from cutting a leather strip to tooling a design and dying. Learn the process of belt making while creating your own personal belt and gaining the skills used to make many other leather works! Take advantage of this unique offer and hire your own personal art instructor for the day! Work in a professional studio freely and be inspired by the tools, skills and experience being offered to you at your finger tips! Classes are $200 for 4 hours. Prices and times are custom tailored to fit the needs of the specific person and their needs. Class cards are available for a discounted rate! 3-Class Card= $540 Savings of $60! 4-Class Card= $720 Savings of $80! Lia designed and made her own leather belt with leather she brought in. Michael brought in two handmade knives and made custom leather knife sheaths. "Michele's custom class allowed me to transform my ideas into works of art. Her knowledge of art is amazing and the studio has every tool and material to make art happen. I will continue to take classes to learn and make things I am proud of." Carly learned to cut this amethyst crystal to fit into her belt buckle design! Custom watch band made by student for his SmartWatch. Silver hoops made by first time silver smithing student. Student-made engagement ring made for his girlfriend; a lover of science.